The median sales price for a U.S. home rose to $248,000 in the third quarter, another record high. San Jose and San Francisco home sellers reaped the largest profits for the third straight quarter, a respective 80 percent and 71 percent. San Jose had the nation’s fewest distressed sales in the third quarter, with such transactions accounting for 3.1 percent of activity. 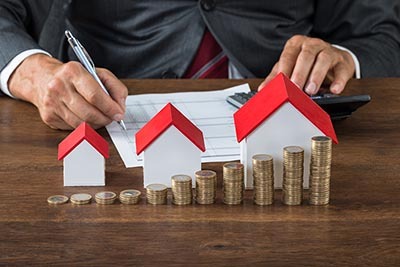 That’s according to a new report from ATTOM Data Solutions, which says that the U.S. median home sales price ended the third quarter at $248,000, a new record high and 3 percent above the prerecession peak set in 2005. Nearly half of all U.S. metropolitan areas saw the median price surpass its previous peak in the third quarter, and two-thirds of markets have now exceeded prerecession price levels. American home prices reached a new high for the second straight quarter, rising 10 percent from the third quarter of last year. The San Jose metropolitan was one of the country’s five fastest-appreciating housing markets, with prices up 14 percent on an annual basis. Rapidly rising prices guaranteed Bay Area sellers took home the largest profits in the third quarter, continuing a trend that began last year. In San Jose, home sellers realized average returns of 80 percent since the time of purchase, the most in the nation, followed by San Francisco at 71 percent returns. Nationwide, home sellers brought in returns of 31 percent, the largest profits in more than 10 years. The report, which also tracks distressed home sales, found that such transactions reached a decade low, dropping by 14.1 percent year over year. Distressed sales accounted for 12.5 percent of activity in the third quarter, and ATTOM Data Solutions Senior Vice President Daren Blomquist said that he expects them to return to prerecession levels within the next year. Distressed sales in Bay Area real estate markets are even rarer. San Jose had the country’s lowest number of distressed sales, at 3.1 percent. San Francisco also ranked in the top five for the fewest distressed transactions, which accounted for 5.2 percent of sales in the third quarter.